as i scroll through the messages, i can’t help but see how many people you’ve reached, through your music. thank you so much, for helping us all out of our darknesses, pulling the demons away. one of my greatest regrets will forever be that i never got to see you live. thank you. so much. for rescuing us. i’m so sorry that we couldn’t rescue you. i fell in love. that’s that, you know? and when it was all over, i laid on my bed, staring up at the ceiling, and one of his songs started to play. his music was so special, when you heard one of his songs, you just knew it was his. it’s heartbreaking that he died so young, avicii, you meant so much to me, so much to my now boyfriend, my aforementioned first love, and so many others. thank you so much, for sharing your gift with the world. a sensação de ouvir wake me up hoje em dia, da um aperto no peito, tão jovem, mas ele cumpriu seu papel aqui na terra! me lembro q ouvi a noticia no dia 20 enquanto trabalhava, acabou com minha sexta feira! Every since started revitalising my life, it was since the song ‘ THE NIGHTS’ ! Thanks a lot AVICII. Love you a lots and Miss you. Jag, min sambo och våra barn (3 och 6 år) lyssnar på dig i princip varje dag. Du är med på vår playlist, min lista som jag lyssnar på när jag springer och jag lyssnar på dig på jobbet när jag skriver på datorn. För alltid är du grym. RIP - kärlek till dig och din familj! Listening to Addicted to you on repeat for hours on end when I was 10 years old, It’s still my favourite song, Thankyou Avicii. Waking up to the Song DAYS, and Sleeping to the Song NIGHTS.......You Made Me...Thanks! He was introduced to me from my friend.I became a bigger fan than him.I like turtles. Avicii... I first heard of his music when I was really young. I knew it was meant for people like me, those suffering from depression. It just spoke to me, tugged at my heart strings. His music got me through the of worst times. I will never forget this man. Rest in peace. The first song i heard of him was wake me up.Never in my life have i heard a song like that before.Tim became my idol later.The music he gave never fades.Always love him and his music. His music lives forever. 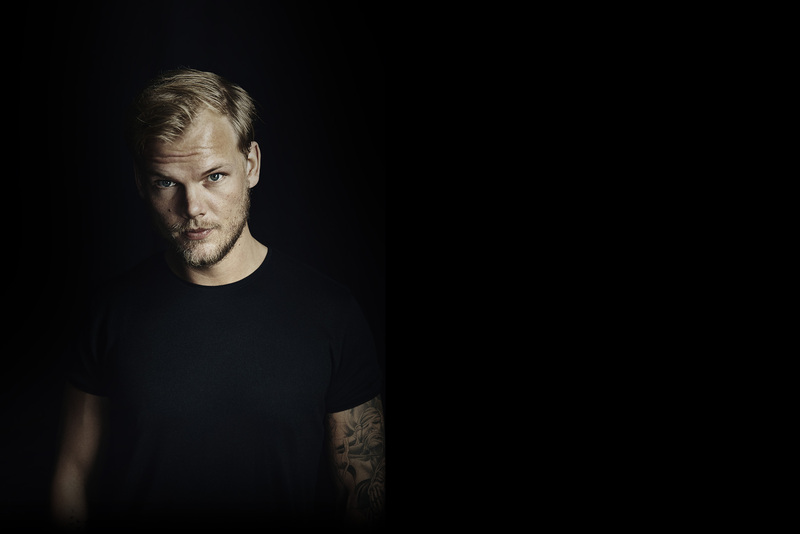 Avicii, I am bullied because I don’t listen to “city” music. I love EDM. I listen to your songs hundreds of times in one day. It is hard to be so young and so great. You are amazing and the next generations shall know your name and the legacy you left. You are amazing but it was your time. We always wish we had one more minute. Thank you for getting me through the hard times and the good times and showing my friends what true music is! One of the Best DJ! Live a life you will remember . Salute ! you should have never came on the center front you are a pure musician not a DJ. you will always be loved? Why were you unhappy with Djing. Hi Tim, well, I have always wanted to see you... Your music is the best motivation dosage for me to fight through everyday. Even at the hard times, listening to your music gives me courage, happiness and a sense of belonging. Rest in peace my friend, I will always love you as well as your music never dies. Tim även om vi hade privat på ultra, tack för att du har ändrat sången och tack för din musikaliska visdom. Vi kommer att gå och absolut sakna dig mer än någonting. Tack för allt du har delat och all kärlek / visdom du har gett oss. Vi kommer att älska dig för alltid. Easy Rest Tim. Vi älskar dig för alltid och någonsin. I will be waiting for love, to come around, I will be waiting for love, to cover on. I will be meeting with avicii, in the heaven. Avicii, I can't describe it. He was amazing, not just because of the money he made (Not at all). His music, was beautiful, It calmed me down, made me happy. His music was like a bright flower created by god, to make it stand out. He was a gift of God, his music and himself. But, we couldn't tell him how to live his life, it was his choice. But, no matter what his music inspired tons of people.Everybody should remeber Tim Bergling or as he is known as Avicii. I love you Avicii..
Aviciiの音楽は私の青春時代。 ステキな音楽と巡り会えたことに感謝。 i love you tim, i will never forget you!! ,He said one day,you’ll leave this world behind/So live a life you will remember.’ -one thing is certain:you had lived a life to remember. You will be forever in our hearts, thank you for changing the music game, and thank you for your wisdom of music. We miss you more than anything, EDM will never be the same without you in it. Thank you for everything you shared, and all the love/wisdom you gave to us. We will love you forever. Rest Easy Tim. We love you, forever and ever. I dont know how to start, but you and your music will be forever in my head and heart. You have a beautiful soul. In every song you made i hear you not the vocalist you lived for the music and you can hear it in every song that a part of you is in that. So maybe we see us heaven. AVICII, fuiste, eres y serás siempre el mayor exponente de la música electrónica para mí; una gran persona, y que sin duda, se extraña y se seguirá extrañando por siempre! Éste año en tomorrowland 2019 cantaré con todas mis fuerzas tus canciones bajo tu gran bandera! "Vive la vida que quieres recordar"
Thank you so much, dear Tim. I will always love you and your music. Your fans will never forget you! I just love Tim's songs, I keep loving them, and I will always love them, just as I love him today. Thanks for your music! We love your songs! You were such a giftet, talented and amazing musician. We're still listening to your music. So sad, that you're gone. RIP, Tim.